Simply the best deal on one color heat transfers in the industry. Starting at just 15¢ per piece plus setup for any single image up to 9" by 12.75". The setup fee applies to each order. For brands and boutiques looking for a high-end look and feel. 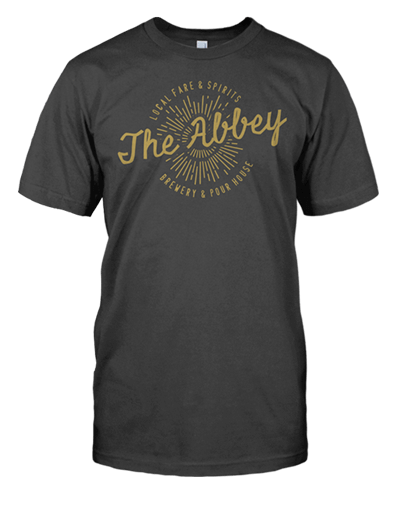 Complements the style, quality, and feel of a great t-shirt. This formula channels a “well-worn” feel without sacrificing durability. It’s just like traditional screen printing, only softer. 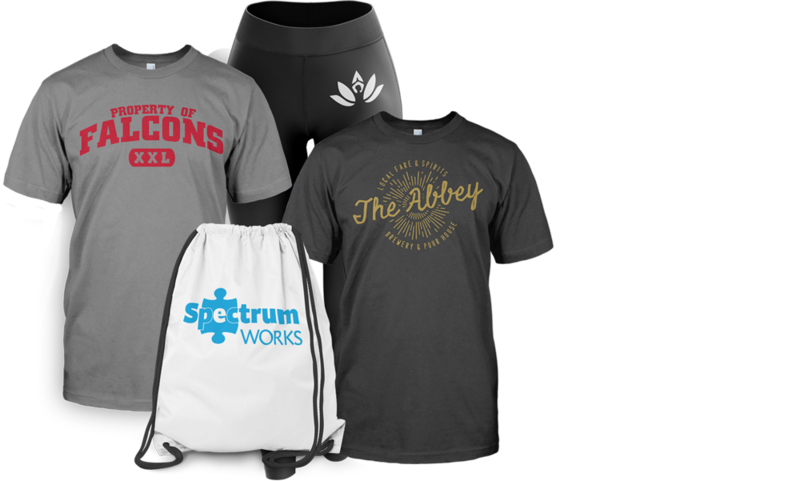 Best value for giveaways, staff shirts, and promotions. Our most versatile heat transfer with a durable feel. These screen-printed plastisol transfers feature a lower temperature application and blocks polyester dye issues. For Synthetic Fabrics containing Lycra®, Spandex, or elastane that require flex and rebound. Designed for use on high stretch synthetic fabrics and compression apparel with a soft hand feel. 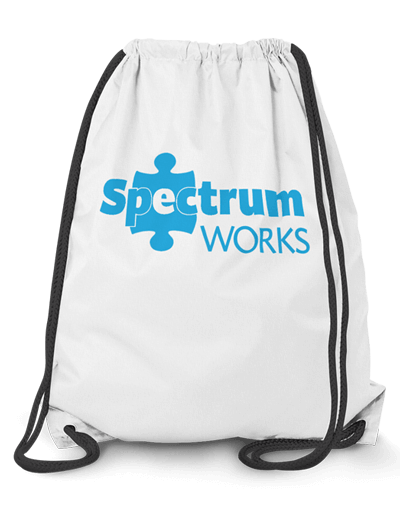 used for giveaways and promotional items. Nylon has been a challenge to screen print because of its tendency to shrink or scorch from heat. Our Nylon heat transfers end that challenge. Not designed for waterproof/water resistent without a test application. The single image One Color Program is only available in our stock color palette. For custom PMS color matching please refer to our gang sheets. 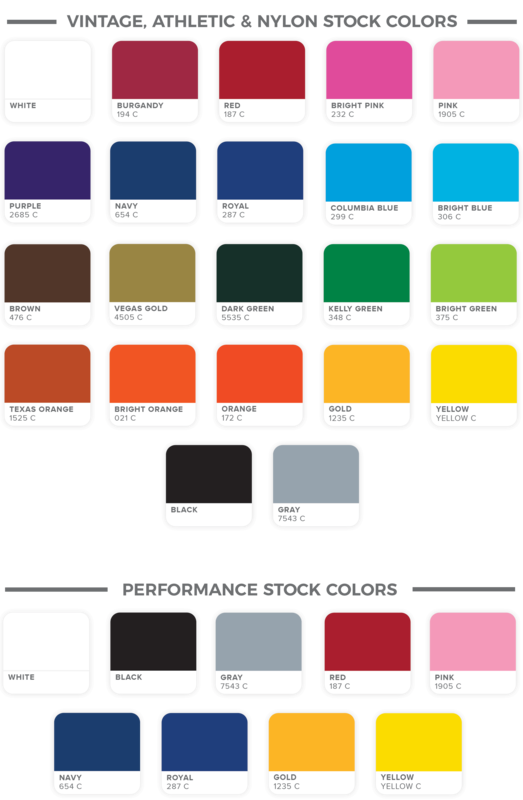 PMS colors listed are for reference only and may not be exact matches due to printing variances. Listed turnaround times assume approved artwork is submitted by cutoff time of 3 p.m. EST M-F.
Orders placed after cutoff time or issues with artwork approval process will shift the turnaround time. The One Color Program pricing is based around a single-image design. Designs can be oriented in landscape or portrait format. Ganging or grouping multiple designs is prohibited. The setup fee is paid each time an order is placed with the One Color Program pricing. Setup fees are paid for each color/size requested. Substitutions or color-change fees are unavailable. Send your artwork at the exact size that you want it to print. For example, If you select a 9"x12.75" sheet, but upload an image that's 8"x8", we will print your image at the size you uploaded (8"x8"). Submit your artwork right-reading (as it would look when applied to a garment). Our artists will mirror the image for you. 1 points or 0.0138 of an inch. Anything less than 1 point may not receive ink in that specific area. 2 points or 0.0277 of an inch between positive spaces. Negative space closer than 2 points may close in. All type must be converted to a non-editable format. Type that is still “live” or editable may not display properly on a computer with a different font library. Use a commercial grade heat press, because hand irons just can't cut it. We recommend HIX, American made heat press equipment. before production to ensure the garment will accept the heat transfer. Additionally, water resistant, water proof, or fireproof garments may not accept a heat transfer.